Together with the Université Evangélique en Afrique, Bukavu, DRC Esri Germany organised and conducted - with the support of Esri Rwanda - the first GIS Summer School. This first Summer School of its kind in DRC was put under the motto "Establishment of a Heath Database for Bukavu". 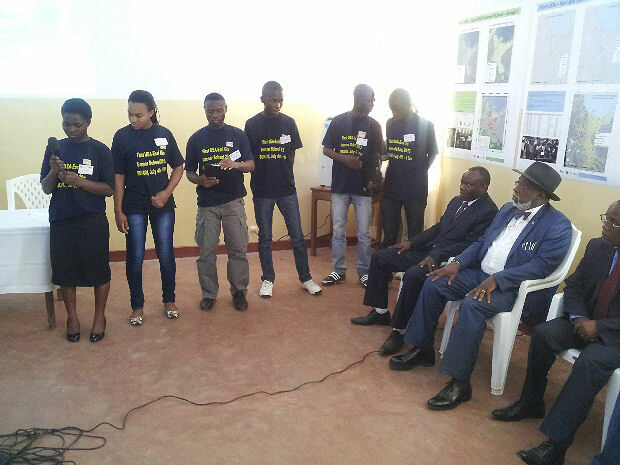 A selection of twenty four pupils from eight secondary schools in Bukavu captured coordinates and facility data from 101 Health Facilities, learned how to use ArcGIS to analyse the health supply within the City of Bukavu. The final results were presented to the Government of South Kivu and Ministry of Health authorities during the closing ceremony on July 13, 2013.